activity. 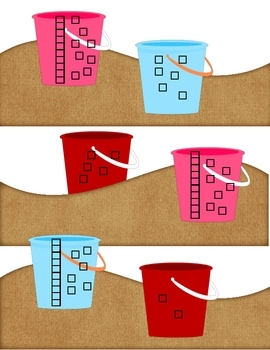 Glue the bucket pages onto the inside of a file folder. Cut out the shovels and laminate them for durability. 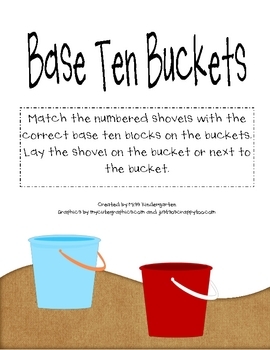 Have students match the number on the shovel to the base-ten blocks on the bucket. Laminate the whole file folder if desired. 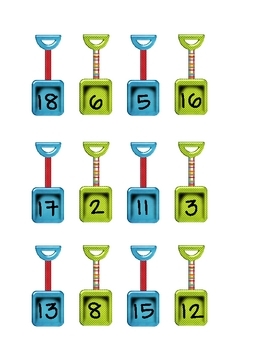 Attach a pocket or Ziploc baggie to hold the shovel pieces.